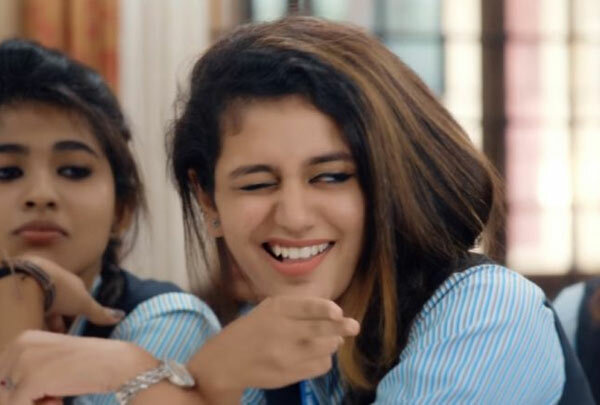 Malayalee beauty Priya Prakash Varrier attained over night stardom across the nation for her killer winks in the song from her debut film Oru Aadar Love. The film is releasing on Feb 14, offering Valentine’s Day treat and Telugu movie lovers are waiting eagerly for the release of Telugu version Lovers Day on the same day. Priya Varrier who revealed that she lost a chance to romance Stylish Star Allu Arjun due to her busy schedule, however now in all probability got a golden chance to romance Natural Star Nani. In the midst of all this, Priya Varrier speaking to scribes shocked all saying she got bored of winks. She said, “I already winked more than 200 times. Where ever I go people are asking me to repeat the wink scene. I am getting bored winking so many times. I still wonder and unable to understand why my wink act became so popular. Though I am happy with the stardom I got with my wink acts, I lost my privacy due to it."